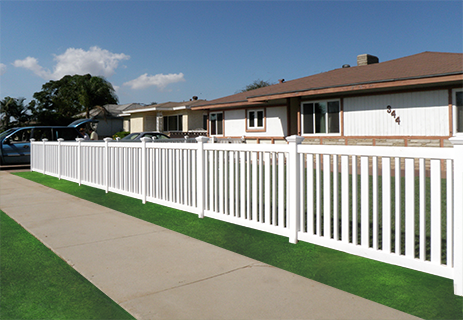 Vinyl Picket Fencing custom build to fit your yard perfectly. 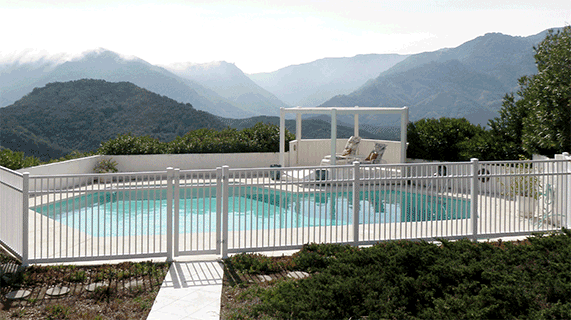 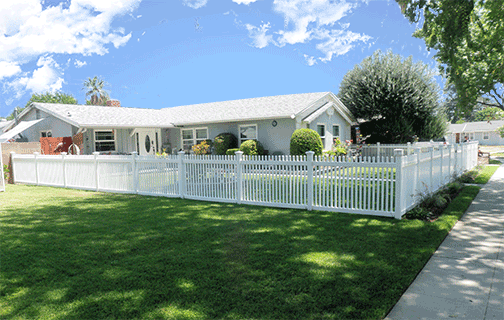 all Fencing comes with a Lifetime Warranty - Los Angeles, Van Nuys. 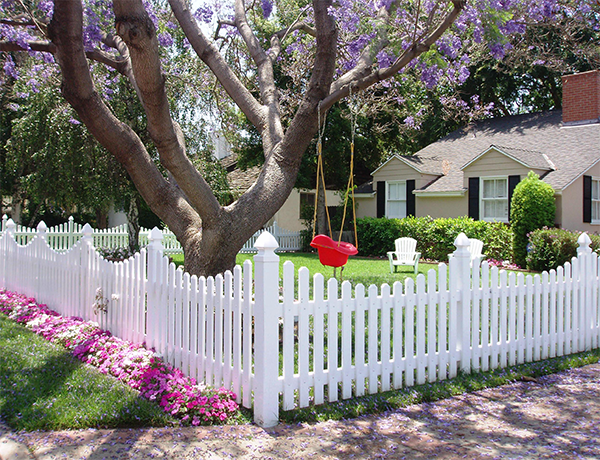 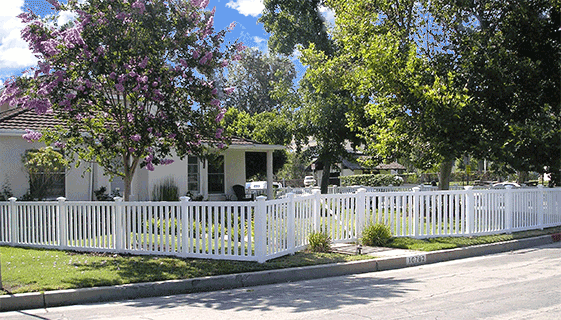 A home with a white picket fence is the quintessential symbol of achieving the American dream. 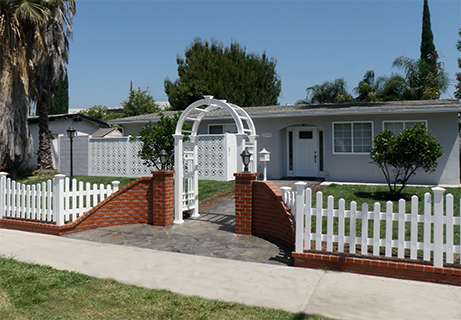 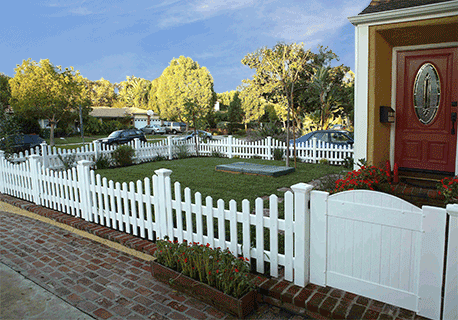 Our vinyl picket fences add classic style and charm to any yard or landscape. 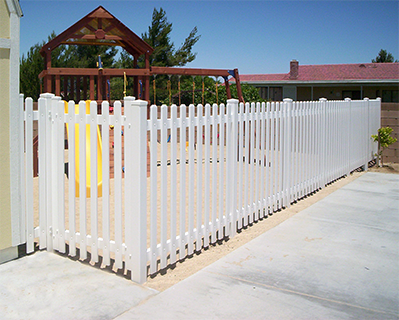 They are ideal for defining boundaries and for keeping small children or pets in an enclosed area without sacraficing aesthetic value. 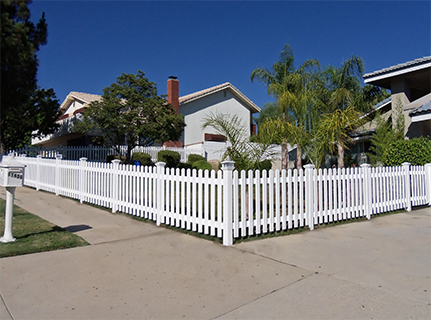 Gaps between pickets prevent the fence from completely blocking the surrounding view. 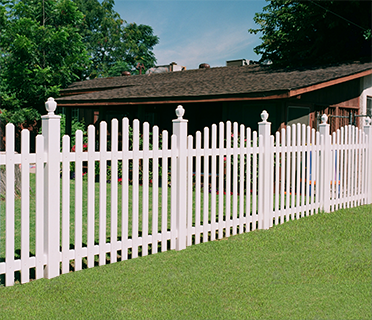 Vinyl picket fencing is generally shorter than other types of fences, often measuring less than 4’ tall. 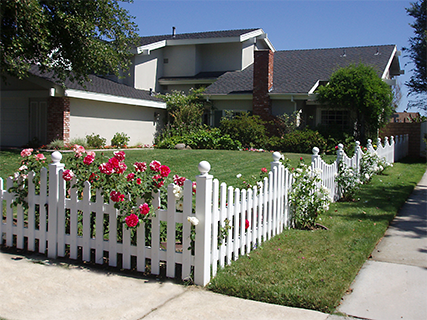 For an elegant variation, consider your picket fence with arched or scalloped sections. 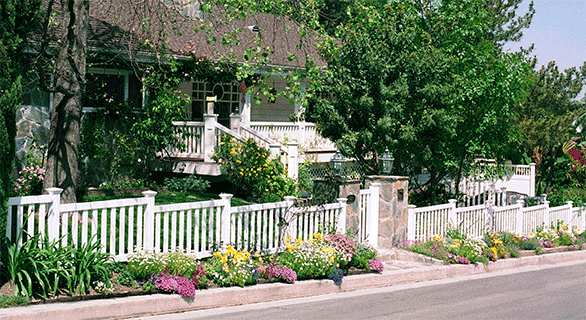 Our qualified sales professionals will help you make the right choice for your lifestyle and budget. 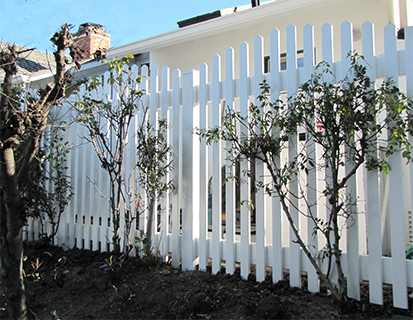 We make our vinyl picket fences in our own factory to fit each project. 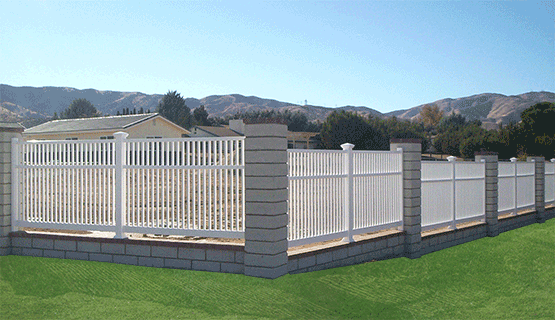 Vinyl picket fencing is a functional and dramatic addition to any yard with years of great performance and is maintenance free. 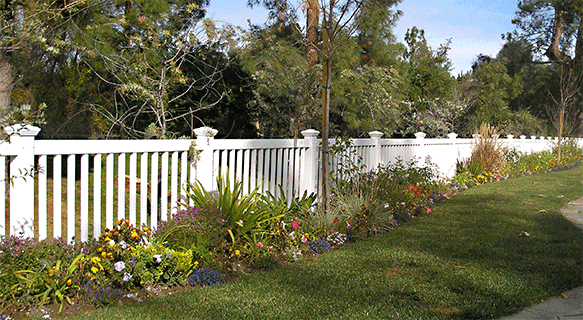 Call us today to transform your yard into the yard of your dreams.